With only a few days to go until Christmas takes over, it’s time to go over one of the most fundamental uses of VFX compositing – snow! Whether you’re shooting a Christmas comedy or a reflective and chilling scene for your film, snow can always help add value to your project. 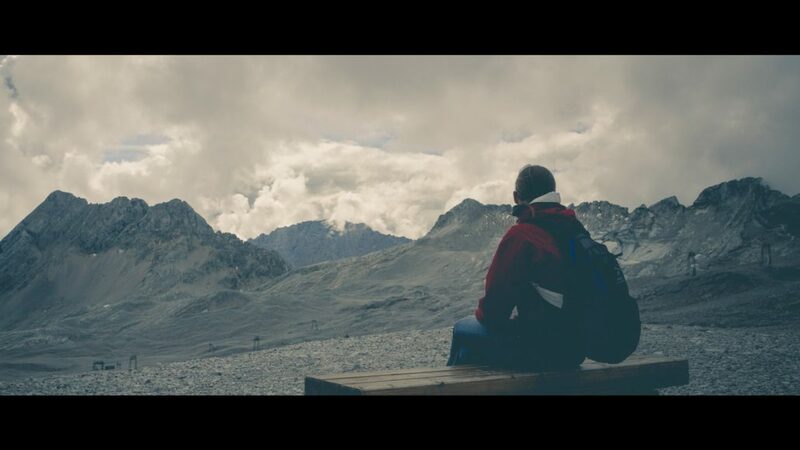 But not everyone has access to weather manipulating machines or industrially sized snow cannons, and so in these cases, we must rely on VFX to composite the snow into our footage. FootageCrate has a huge library of snowfall effects, ranging from realistic to cartoon styled. 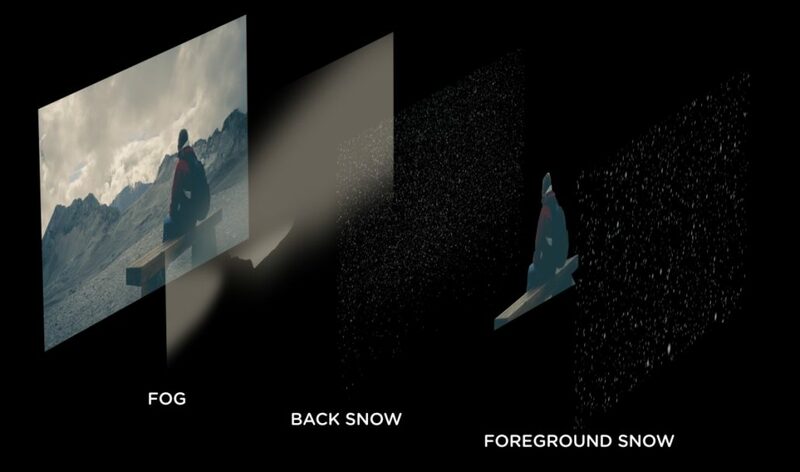 Similar to all of our content, these snow effects are pre-keyed, meaning that transparency is preserved when you drop the snow footage on top of your shot without any further hassle! You can take a look at our collection of snow effects here. Let’s get started with the tutorial! You can use almost any software for this, including After Effects, Hitfilm, Nuke and Premiere Pro! I’ve taken this stock image from Pexels.com, so if you want to follow along, be my guest and download the image. One step I’ve often seen people skipping is that they don’t add depth to their snow effect. What I mean by this is that it’s quite clearly visible that there’s just a snow effect simply being placed on the footage, giving it a “flat” feel. We’re going to give the snow volume by first creating a solid that matches the colour of the lighter clouds, and making it so that the further away the footage is, the higher the opacity. This can be done through masking or opacity painting. Already we’ve given a nice volumetric feel to the scene. This will look like snow that is too distant to be seen by the camera individually, and so appears like a cloud. We can now mask out or rotoscope the foreground so that it doesn’t sit behind this fog. It’s now time to drop the snow effect into our video. I’ve taken two different effects from the FootageCrate website, which is the “snow background” and the “slow snow falling”. I’ll have the first placed behind the foreground, and the second in front of it. 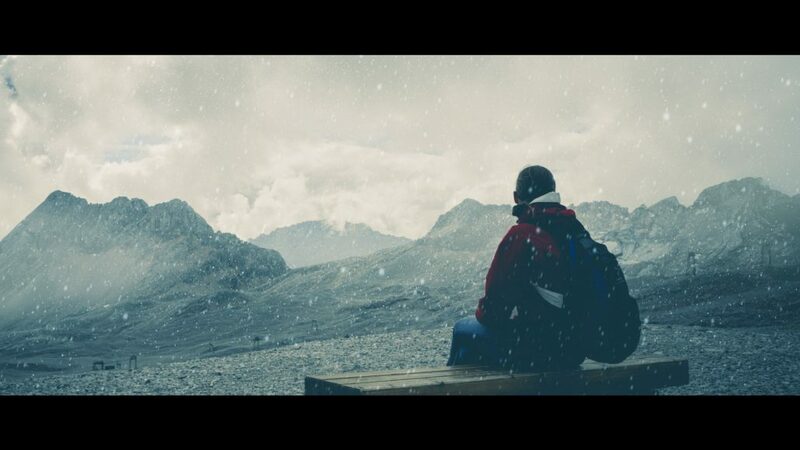 This makes it appear as if the subject is sandwiched between the two snow assets so that they feel part of the scene! Apply these snow effects with an add/lighten/screen transfer mode so that the dark halos around the snowflakes are invisible, and admire your now far more chilling scene! You can add further colour corrections to then cool the image with bluish tints. Thanks for reading this tutorial! 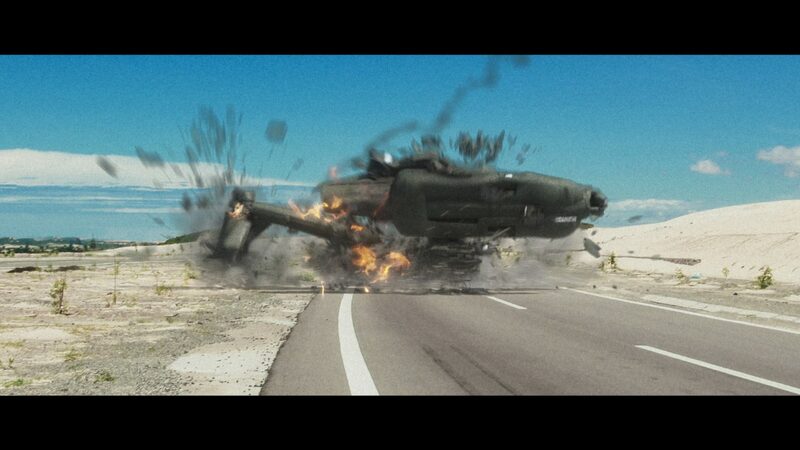 If you’d like to learn more VFX, take a look at our helicopter compositing tutorial! Our brand new helicopter assets have landed in the FootageCrate library, giving you the power to create your own stunning action movie VFX! Over 30 exciting elements are available for you, with some of them being free to download. We’ve made sure the selection covers all of the intense helicopter sequences you’ll need to build the perfect narrative for your project. The collection includes take-offs, flybys, static graphics and even a spectacular helicopter crash. 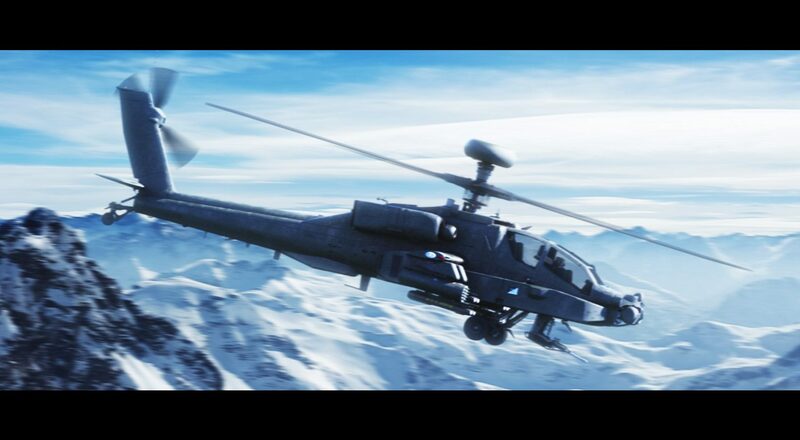 It’s time to get started with the tutorial, so you can learn how to add these helicopter VFX into your own videos! We’ll be going over the general workflow which covers the steps you need to take to composite all of our helicopter assets. 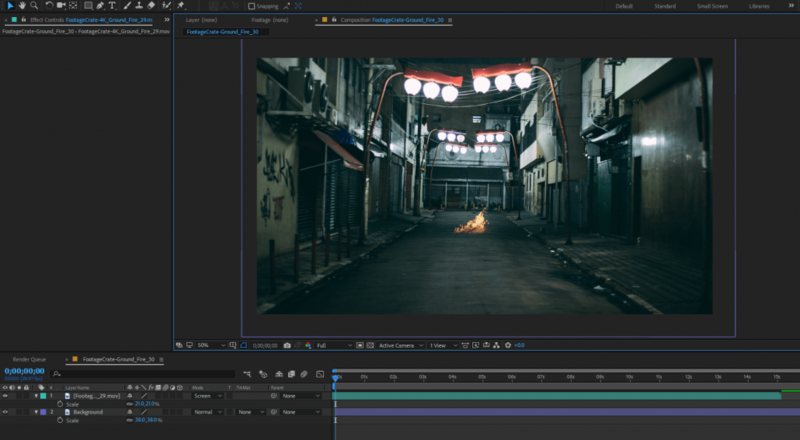 I’ll also be using After Effects today, but you can replicate the steps in almost any compositing software such as Hitfilm and Nuke. 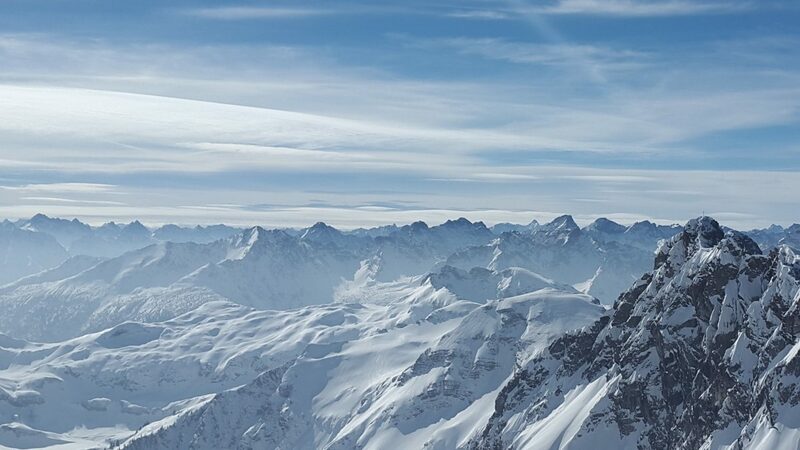 We’ll first need a background, which today will be this beautiful aerial mountain scenery from Pexels, but feel free to use your own! Drop the effect into a new layer of your composition, and position it where you need it. Since the background and the helicopter don’t have matching sources of light, I flipped the landscape horizontally in order to have the light coming from the same direction. 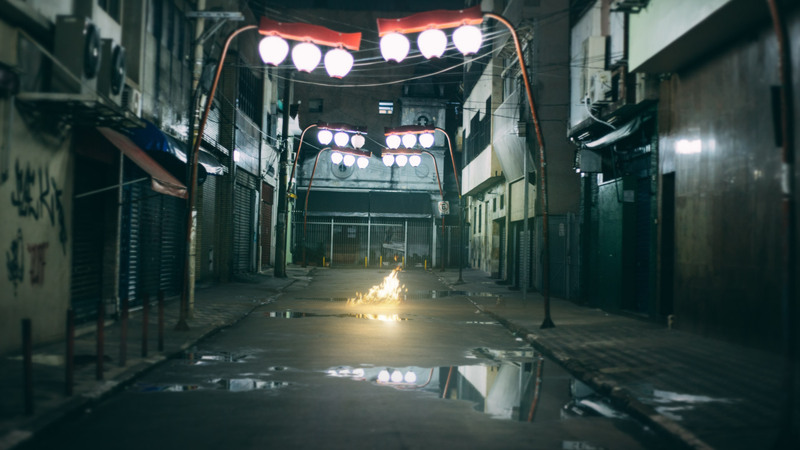 This goes a long way when it comes to making sure your effect fits naturally into your scene! The shot is already looking pretty good, but we’ll perform some colour correction to make it perfect. I used a curves effect to lightly decrease the red as well as increase the blue, which matched the chilling tone of the environment. 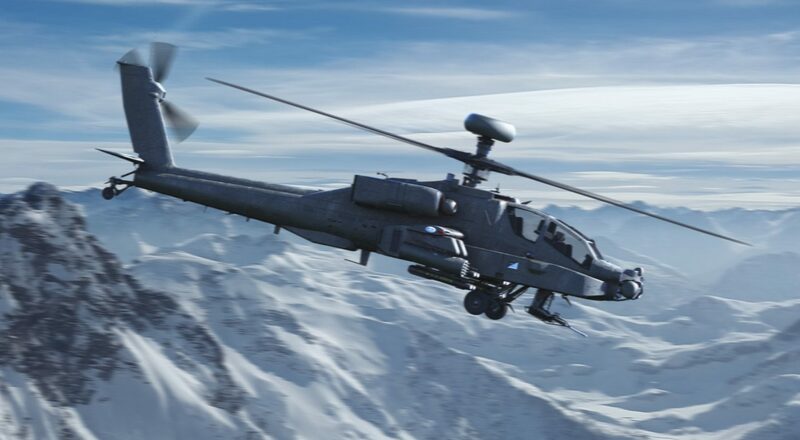 No action scene is complete without some background motion blur, which also gives the illusion that the helicopter is moving at great speeds. It also helps highlight the main feature of our shot, so that it stands out from the rest. This is the third tutorial in a row which has made use of our ProductionCrate Lightwrap generator, so if you haven’t checked it out already download it here! 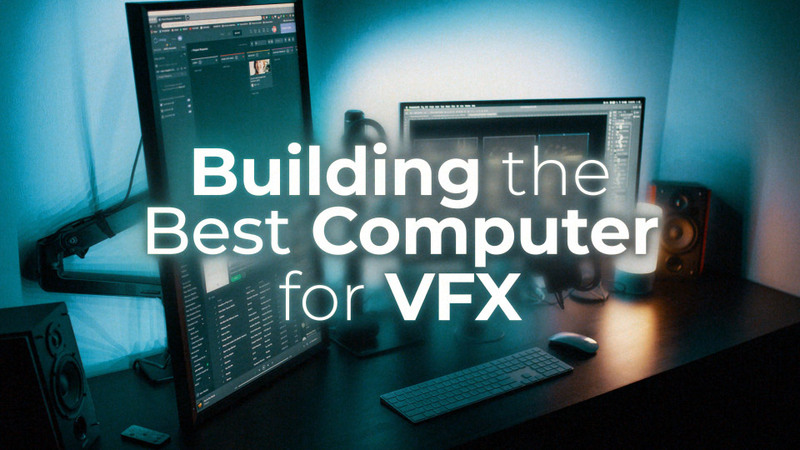 This tool is an absolute game-changer when it comes to compositing inside After Effects. It takes the colour of the environment and blends it into the edges of the asset, making it seem as though light from the scene is bouncing off our helicopter and into the camera. The default settings will do for most scenes, so hitting “Generate” should do the trick, but feel free to adjust the settings if needed. You’ve made it to the end! 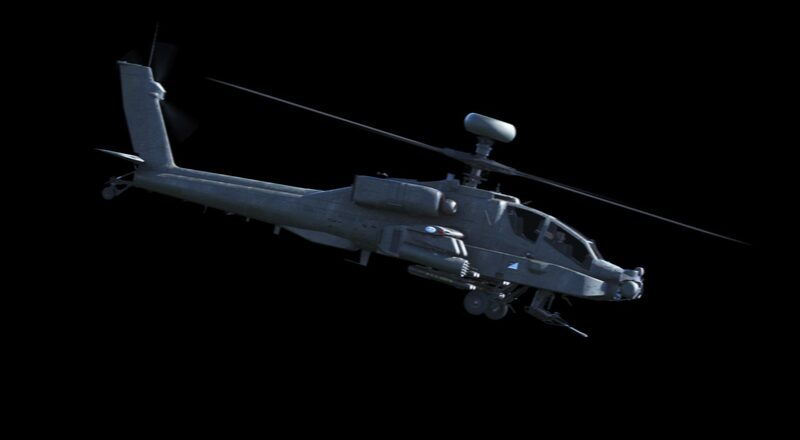 We now have a photorealistic helicopter VFX effect in almost no time at all thanks to ProductionCrate’s helicopter library. It’s time to add our final colour corrections to give it the cinema-quality tone we want to see (here I had increased the contrast and saturation). Continuing from a recent post showcasing our zombie effects, it’s time to put them into action with a quick tutorial! For the readers who have just joined us, welcome! FootageCrate has a bundle of truly extraordinary stock footage of green-screened and pre-keyed HD zombie effects. This means that you won’t need any fancy make-up artists and actors for your own zombie movies, instead, you can easily composite them into your videos with a few clicks for an unbelievably realistic effect and low budget! I’ll be showing you an example of how you can add these zombie apocalypse visual effects to your footage to make them look like they are truly part of the scene in After Effects. If you want to follow along, I’ve taken a stock image from Pexels.com which you can download here. 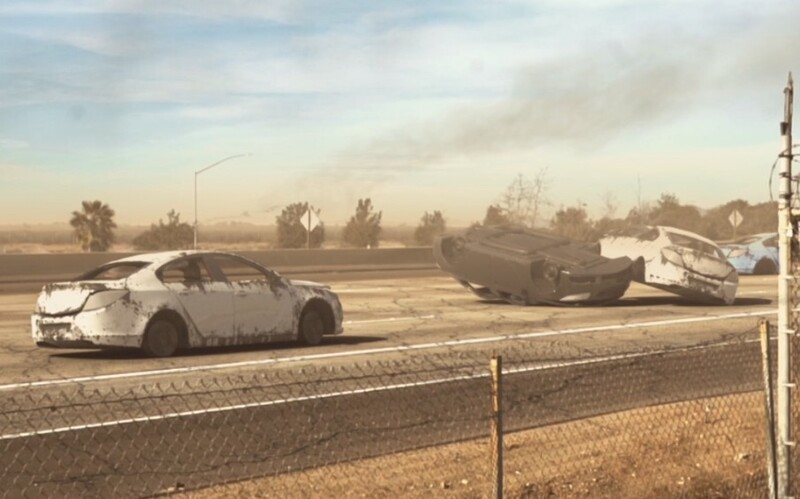 As for our zombie VFX assets, you can find them all on our category page here. Many of these are free to download if you want to try it out with no cost at all, and Pro members can download the entire collection of pre-keyed 4K assets. Let’s get started! The easy part is to drop your zombie VFX characters into your footage. I used a feathered mask to cut out the lower portions of their legs so that it appeared they were standing in the middle of the tall grass and fog. If we take a closer look, you will notice that these zombies look rather “flat”. Perhaps as if they’re paper cutouts stuck onto an image. Luckily for us, we have the solution! Pre-compose all of our zombies together, and run the Light Wrap generator script. 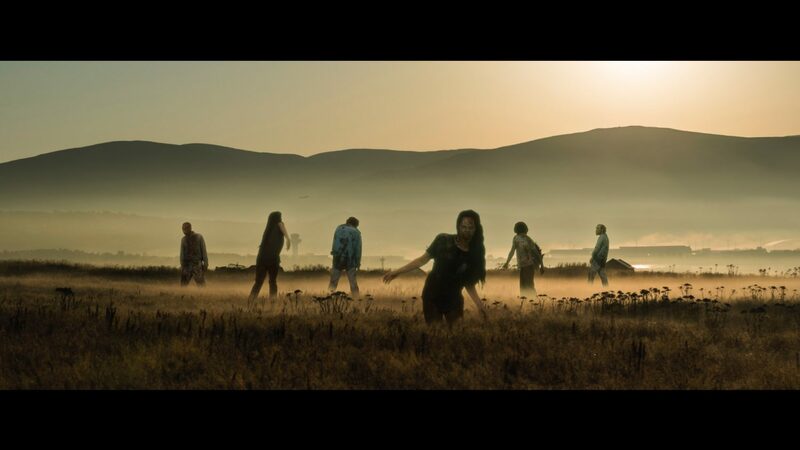 Select the zombie composition as the foreground, and the photograph as the background. Suddenly, once you change a few of the settings in the controls, you’ll have a stunning result. I find that the radius and brightness controls play the most important part in finding the right look for your scene. And without any trouble, we have an insanely realistic looking zombie in our shot! Apply some final colour corrections, and you can proudly admire the work you’ve created. 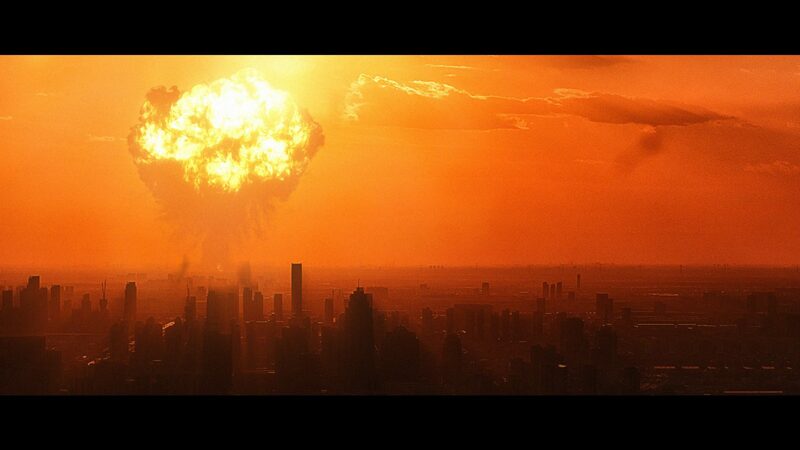 If you want to have a go at some more compositing, take a look at our Nuclear Explosion tutorial! https://news.productioncrate.com/wp-content/uploads/2018/10/thunb.jpg 825 1500 David Blaker https://news.productioncrate.com/wp-content/uploads/2018/07/Production-Crate-Logo.png David Blaker2018-10-31 09:47:302019-01-26 02:51:39Zombie VFX Compositing Tutorial! Halloween is approaching, which is the perfect time to think about the spooky areas of VFX, like blood! It has always been very close to our hearts when working in special effects. Producers tend to want to keep their actors alive, and so studios must find ways to recreate these gore-filled sequences using safer methods. You’ve probably heard of the classic squib! These are miniaturised air cannons which can be remotely set off, forcing blood-coloured fluid effects into the air. This creates the illusion of a bullet impact! However, these can be expensive, timely to set up and will ruin whatever you’re wearing. This is why the industry has been shifting more towards compositing these blood effects digitally using VFX. This shot featured in our “Put a gun through a hand” tutorial did exactly this. We used blood explosion assets which are all available to download on FootageCrate. We even have free blood impacts as well, so there’s nothing to stop you from turning your movie into a gruesomely realistic action adventure! 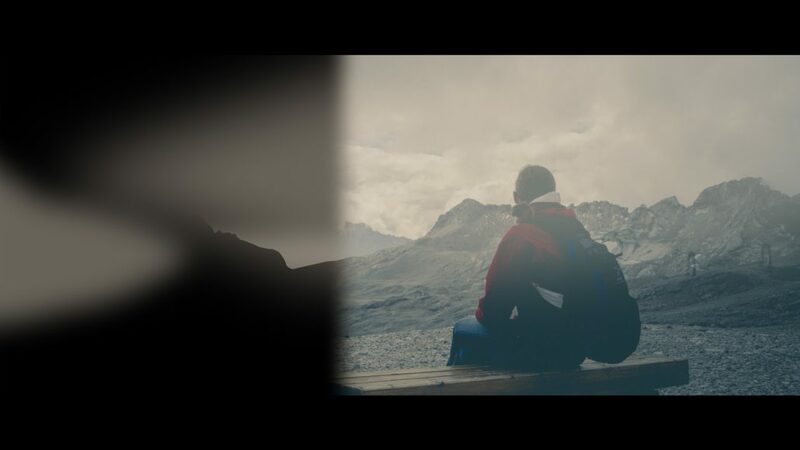 Our HD pre-keyed blood explosions are easy to composite, it’s as simple as dragging and dropping the effect into your video using any compositing software. Popular ones to try are Adobe After Effects, Hitfilm, and Premiere Pro which are all accessible to learn from our countless tutorials. After hosting this content for more than 8 years, we’re proud of our blood splatter VFX, and we hope you have great fun using these in your video. A few days ago we covered creating a missile launch VFX shot. But now it’s time to take a look at the receiving end of the attack and build out one stunning looking explosion! If you’re new around here, welcome! ProductionCrate is your friendly-neighbourhood source for creative assets, ranging from VFX, sound, music and motion graphics. 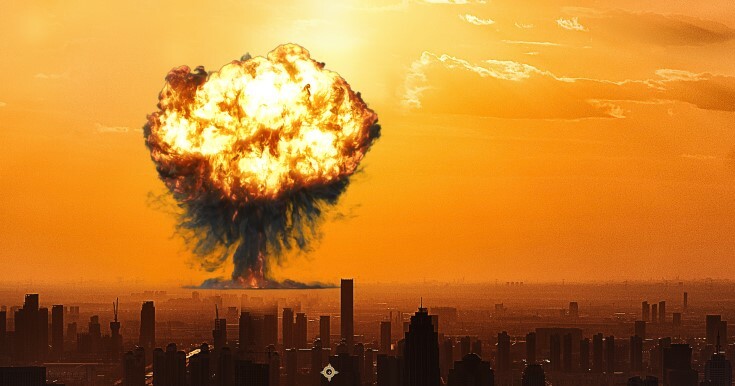 We have thousands of professionally made effects ready for you to download today, and one of them is our much-loved nuclear bomb explosion which you can download here. We have plenty to choose from, many of them are free to download, so pick your favourite and we’ll jump into the tutorial. From past experience where I’ve tried to composite nuclear bombs and other large explosions into my video, one of the most difficult steps is correctly creating the lighting. Usually, this is done by masking out dozens or even hundreds of different surfaces which will reflect your explosion. This can easily take up hours of your time just perfecting it, especially if you have movement involved. So I offer my secret solution to the perfect lighting; shoot during sunset! This will create the lighting you need in no time, casting a fiery glow across the sky. 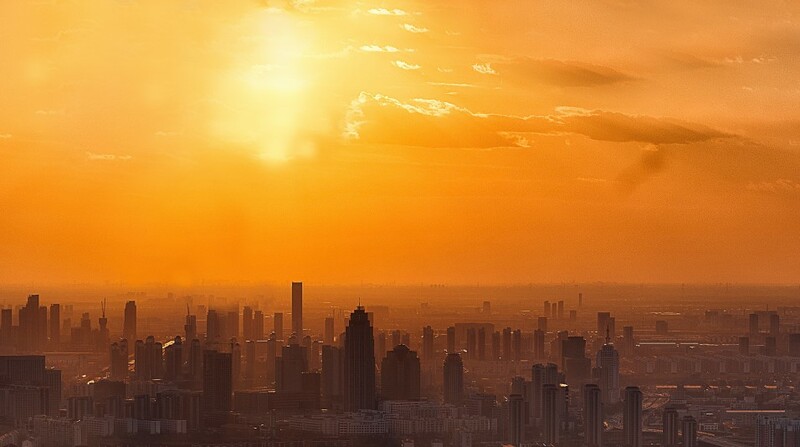 I’ll grab my scene from here, which looks perfect with the skyline being silhouetted by the brightness of the sun. You can use this too unless you have your own! I’ll be using Adobe After Effects (should have used Nuke! ), but the same processes can be applied to any compositing software, even Premiere Pro or Hitfilm. If you downloaded the sample image, you might notice I’ve made a few changes (mostly because I didn’t want that gigantic building in the way of the explosion). Feel free to Photoshop it around a little to best fit your artistic needs. We’ll first need to quickly create a foreground mask, but thankfully we can use a luma-key or the Extract tool to only keep the dark areas of the shot, which are the buildings. 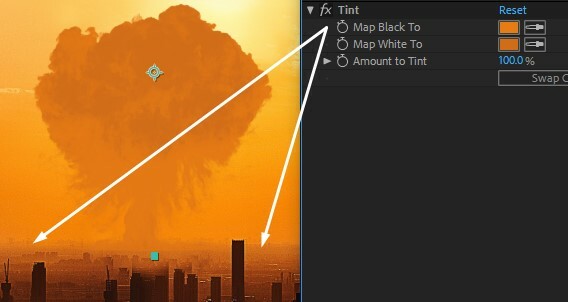 Download our nuclear explosion VFX asset (available for free users too), and drop it into your scene roughly where the sun is. If you’re thinking that this doesn’t look natural at all, then you’re perfectly right. We need to match our smoke to the colours of the sky and what better way to do it than with our favourite tint effect. Use the colour pickers to select the horizons colours, preferably where the object you are selecting is black in reality, but obscured by the atmospheres glow. This should perfectly blend it to match the ground. To bring back the flames, duplicate the layer and clear the effects. We then need to use a simple extract/luma key to remove the smoke. Set the layer’s blending mode to Screen, and our blast will already looking great! And as always, bombard our flames with a bundle of wonderful glow effects! The next step is optional, but I love the extra intensity it gives the brightness of the explosion. 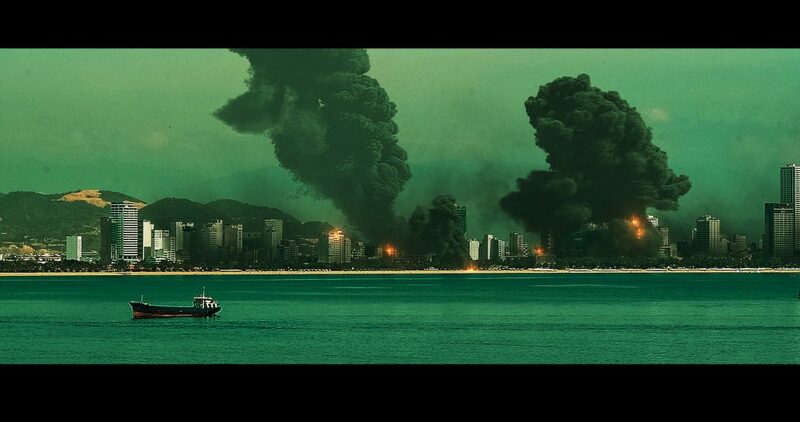 Duplicate the foreground layer of the buildings, and apply a Light Burst effect to it, centring the origin to the explosions centre. It will cast these immense volumetric shadows through the atmosphere and looks fantastic! It’s up to you know to stylize the scene as much as you would like, but in the end, we should have a magnificently epic explosion! 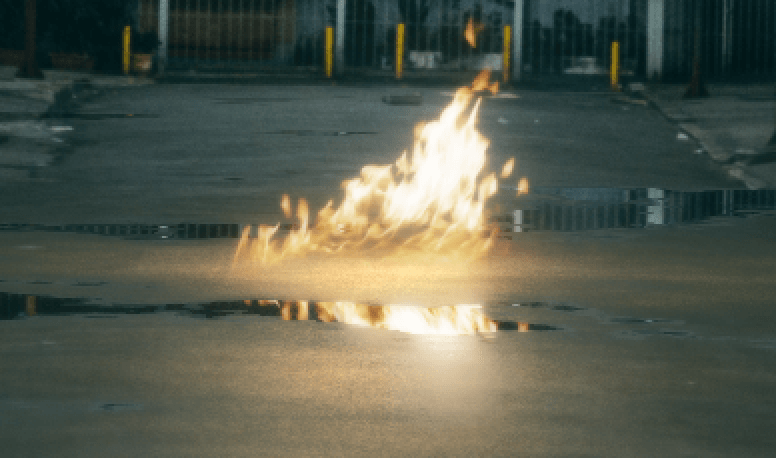 Magic and wizardry is some of the most enjoyable forms of VFX for an artist, and are often the first thing new users are eager to try out when learning. Conjuring these effects into your videos do not require any dark magic, just a ProductionCrate account and willpower! We have an entire catalogue of spectacular content that you can apply to your videos with ease. Lightning powers, energy beams and even Doctor Strange’s personal favorite spark portal. The overwhelming number of choices give you more power than you will ever need. Our downloadable magic VFX in action! If you want to read more on adding these magic VFX to your video, learn about how you can become like Scarlet Witch here! One thing that completes any VFX shot is dust and smoke. They bring a truly gritty atmosphere to any action sequence, and shall forever be a must-have for any serious film producer! There are two ways you can become a pyrotechnic expert and blast your shot into the next level. The first is to do these effects practically, whether that is setting off fog machines on set, or even using a smoke-grenade. While this may sound like the fun option, it is not always the most practical due to cost, time to set-up, and making sure you operate this equipment safely. The second option is cheap, quick, easy and only a click away! 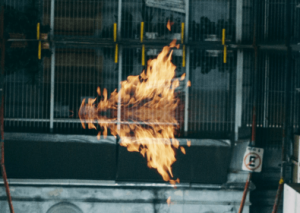 We have a gigantic collection of dust and smoke VFX assets for your video, all ready to be deployed into your film-production workflow to make your scene look stunning. Our smoke plumes in action! Our bundle includes atmospheric smoke, fog, gigantic plumes, volcanic ash clouds, bursts and dozens of other variations! All of these effects are ready to download, after which you can composite them into your video through software such as After Effects, Hitfilm, Nuke and any other with multi-layer features. We have pre-keyed all of our footage to make it as simple as possible for you to drop them into your composition. We recommend that you apply a subtle tint effect to your smoke effects so that they match the color of the lighting around them. Another useful tip is to once again tint the overall color to very lightly lean towards the colour of the sky, with a greater tint for further away smoke. If you want to learn more about how you can improve your VFX quickly, read our article on adding rubble to your video. If you’re reading this, there’s a chance you’ve stumbled upon our puddle map collection and wondered, “What on Earth are these for?”. You’re not alone! If you’ve had some experience with 3D design, you may be familiar with “glossy maps” or “reflection maps”. These are textures which can tell rendering software how “shiny” an object is. Think of a white texture being for a mirror (very shiny), and a dark gray texture used for concrete (very dull and matted). 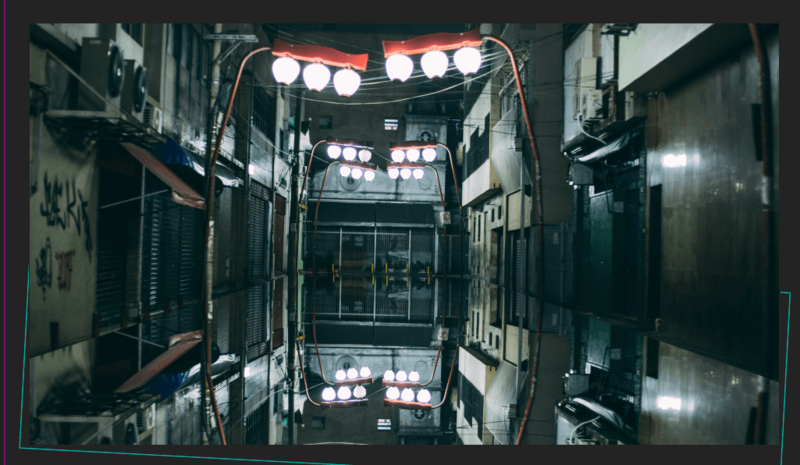 We discovered we can use these in After Effects to create utterly-realistic reflections to help composite VFX into your scene, or just make it visually incredible. You may have seen Andrew Kramer’s Video Copilot tutorial which involved a similar process. We have dropped one of our fire VFX assets (found here) into our street, but anyone can see it is looking pretty dull at the moment! Our mission is to make this look both realistic and more visually interesting! Here is where you might see where this is going! Duplicate any of the layers you want to reflect in the puddle. In this case, the fire and the backdrop. We’ll name them the same but with “Reflection” at the end. Pre-compose the puddle map as well. Now for the magic moment! Apply the “Compound Blur” effect to our reflection layer. The compound blur effect is similar to a traditional blur, except it blurs an image with its blur strength dependant on another texture (so brighter areas are blurred more than darker ones). 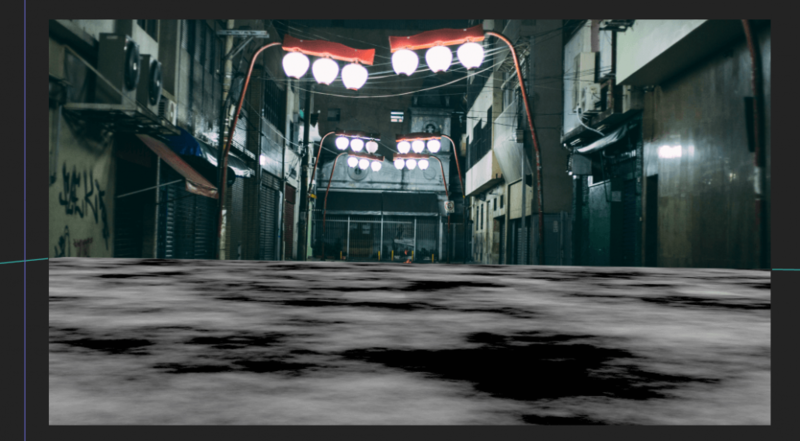 Set our blur layer to our Puddle Map, and turn up the Maximum Blur parameter. You’ll quickly see everything fitting into shape! It may take a little bit of experimentation since no project is the same. 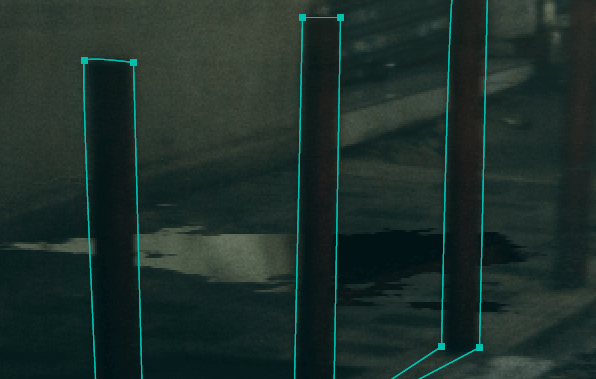 For example, setting this layer to an Alpha Inverted Matte might fix some issues you may have to your scene. You can even try using different puddle maps from the range in our collection. You can then mask out any areas you don’t want a blur to appear on, such as these posts which are trying to make our life difficult. Lastly, as we have a fire in our scene, it’s mandatory to add a glow effect (we can go deeper into this in another tutorial!). Hopefully, this clears up any questions regarding these puddle maps! These things are powerful tools for any compositor in VFX or design, and will always give your scene an extra breath of photorealism. We hope you enjoy using them! Did you enjoy this guide? You might also like to read about our bullet hole collection! https://news.productioncrate.com/wp-content/uploads/2018/09/puddle-thumbnail_0.jpg 825 1500 David Blaker https://news.productioncrate.com/wp-content/uploads/2018/07/Production-Crate-Logo.png David Blaker2018-09-12 11:56:172019-01-26 02:52:56Using our Puddle Maps! Download HD bullet hole impact VFX assets here! Too often do we overlook one of the must-have features of a gunfight in our VFX. Bullet holes! I’ve seen a lot of fight scenes involving a shootout simply focus on the muzzle flashes, but seemingly jumping over the fact that for every bullet shot, there is some form of damage inflicted on the scene (unless they’re shooting into the air, perhaps at some unlucky ducks). We wanted to change this, by making it more accessible for VFX artists like you to create these effects quickly and easily. Our collection of bullet hole graphics have been made specifically to fit any compositors needs, in a superbly large resolution. The pre-keyed alpha matte means it is already ready to be blended into whatever surface it is being applied to, whether that is metal, concrete, or even glass! Our smashed glass collection is essential for any fight scene. These are the easiest to apply, just drop it over your glass, apply a screen blending mode to it, and voila! We hope these HD bullet hole assets are a perfect addition to your VFX workflow. Download them all today! Thinking of how you can make your scene even more explosive? Let us introduce you to our rubble collection. https://news.productioncrate.com/wp-content/uploads/2018/09/BulletHoleThumbnail_0.jpg 825 1500 David Blaker https://news.productioncrate.com/wp-content/uploads/2018/07/Production-Crate-Logo.png David Blaker2018-09-12 06:44:112019-01-26 02:53:06New Bullet Hole Assets!